Hi there! 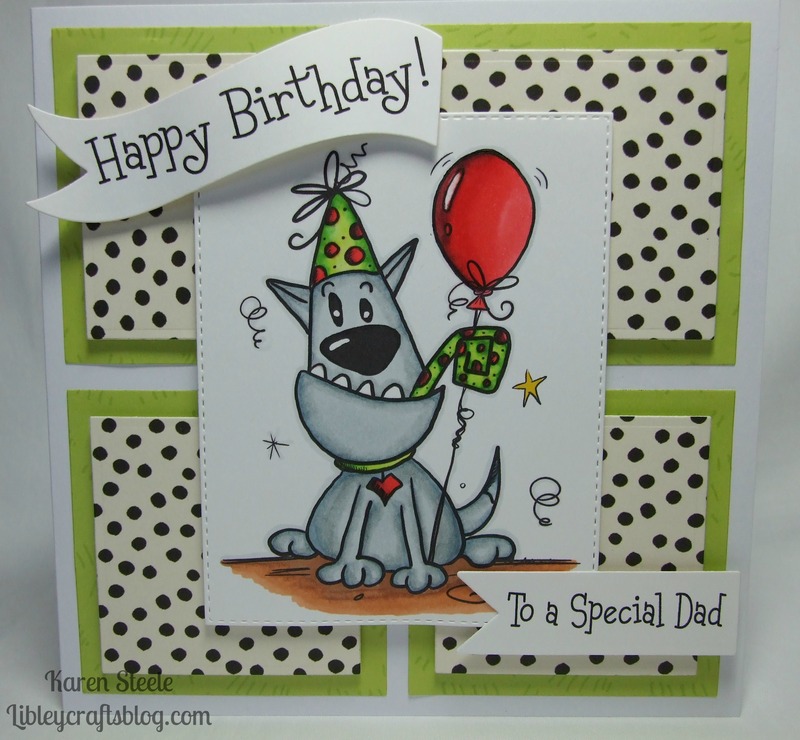 I’m back today with this little fella – a great digi stamp from Bugaboo Stamps called Charlie Birthday. This is for my brother-in-law from his children. As soon as I saw this I knew it would be perfect for him – his dog Rupert is like his baby! So basically I’m always on the lookout for great doggy images 🙂 I also used papers from Anna Griffin called Fifi and Fido, Spellbinders Banner dies, Memory Box Stitched Rectangle Die and Spectrum Noirs to colour. The sentiments were done on the computer. At the moment there is a sale on at the Bugaboo store until January the 15th which is definitely worth checking out! Next > One Man and his dog…. Awww…CUTE image with the dog! Your brother-in-law will love this card! Love him! 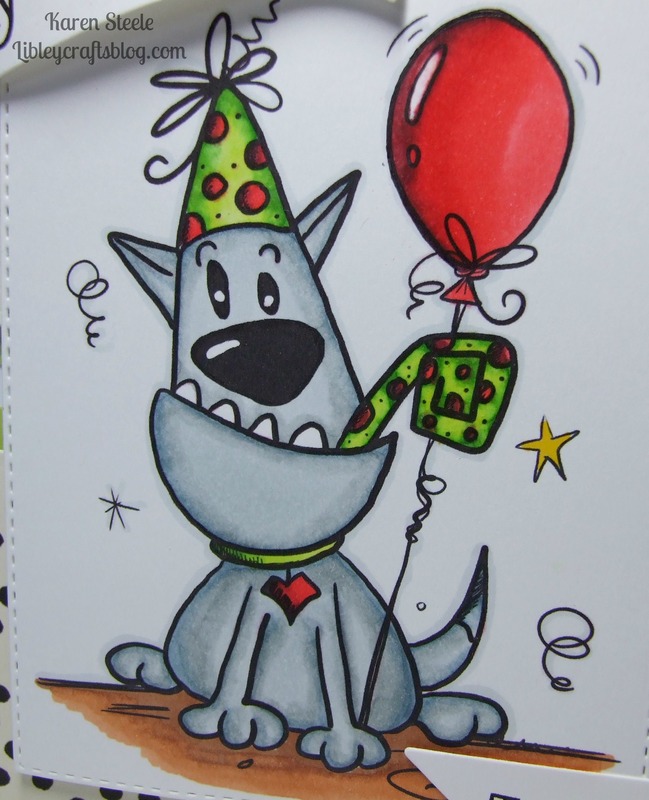 Great card – so bright, cheerful, HAPPY! Way adorable and love the cheery color combo. Beautiful shading and coloring and I really like the way you cut the DP, it has a great effect!